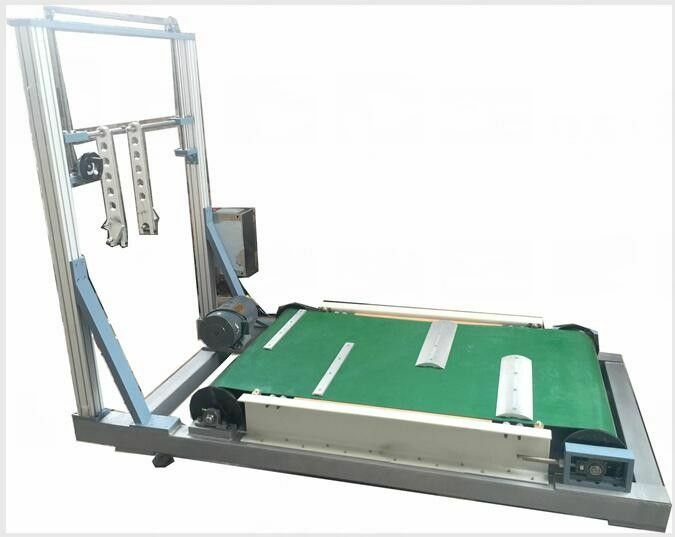 The surface of the irregular surface test equipment shall comprise two types of obstacles: Type A and Type B. These obstacles shall be mounted on a conveyor system so that the wheels on each side of the vehicle are lifted alternately. The conveyor system shall run at a speed of (5 ± 0,1) km/h. other in the vertical plane. 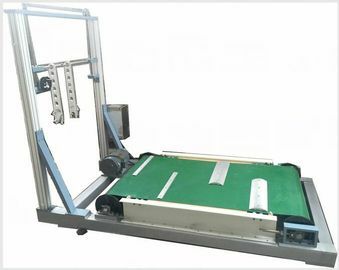 irregular surface test equipment to accommodate different types and sizes of vehicle. The articulating arms shall pivot around their fixing point. When in the horizontal position, each arm shall exert a vertical force on the handles of (20 ± 1) N.